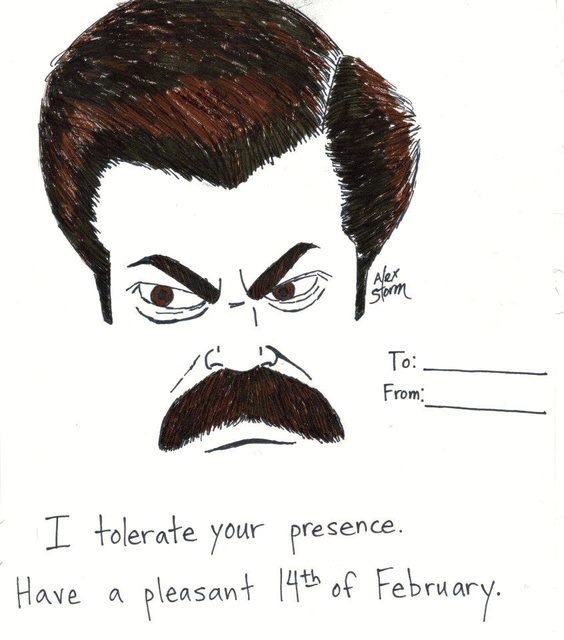 A friend pointed out this Ron Swanson Valentine’s Day Card, but unfortunately it was too late to post on the site for this year’s holiday. 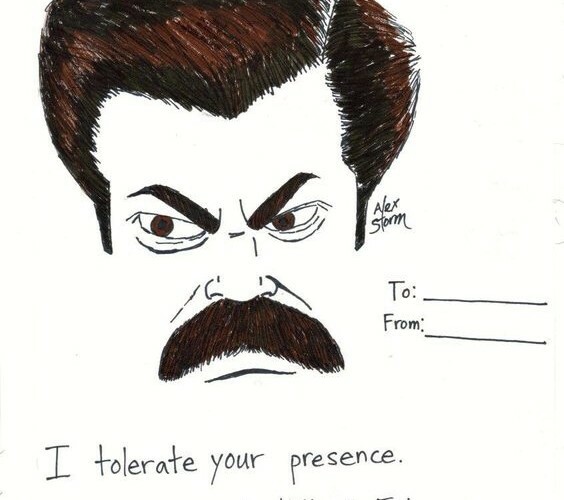 This original artwork was by Alex Storm. You can download a copy here.